Trevor Johnson Is The New Storm Captain! TICKETS: The Go Goodwin’s Manchester Storm are back in ELITE LEAGUE ACTION this Sunday 18th September vs the Coventry Blaze at 5:30pm F/O! Tickets can be ordered online or by calling the box office on 0161 926 8782, or in person at the box office. 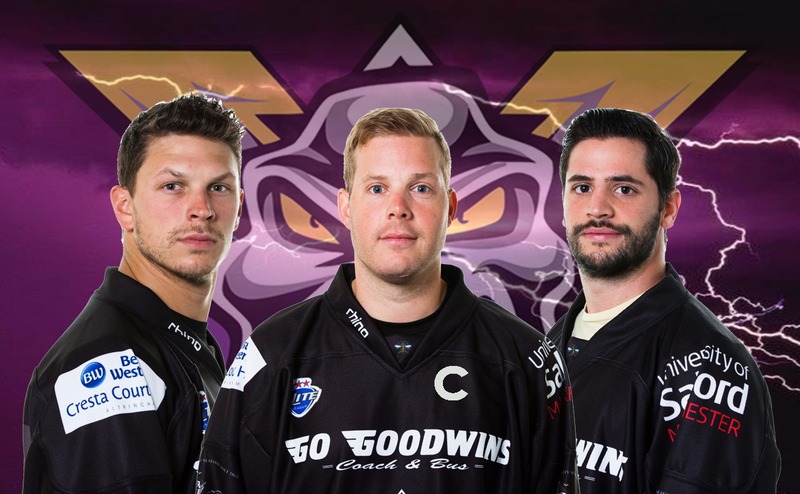 The Manchester Storm are delighted to announce our team captains for the 2016/2017 season! Trevor Johnson has been awarded the Storm Captaincy, with Paul Phillips & Mario Trabucco both earning Assistant Captain roles for the season ahead. Seth Bennett, Elite League Media Officer, spoke with the new Storm Captain Trevor Johnson, hear what he has to say below!